ElectronicKitSchool. - The popular and famous electronic basic for you who want to learn more about electronic analog and digital integrated with many deep analysis is a book that authored by Robert L. Boylestad and Louis Nashelsky which titled Electronic Devices and Circuit Theory. We think this book very best seller proven this book until this time published in 12th edition and we can find it in book seller. Electronic Devices and Circuit Theory in its edition always wait by electronic student to know the development and perfection of this book in every edition. This article will show you the reviewing of Electronic Devices and Circuit Theory Boylestad 11th Edition book like book description and table content. The last in this article we also will give you link to take download e-book of Electronic Devices and Circuit Theory Boylestad 11th Edition and also the solution and instructor manual freely from the external server. This is a good book for you who want to learn more about basic electronic analog and digital electronic with deep analysis and solution manual. Yes this book is Electronic Devices and Circuit Theory book in 11th edition for you. Electronic Devices and Circuit Theory 11th edition, offer you a complete, focusing on all the essentials you will need to succeed on the job and also comprehensive survey. This is highly accurate text is supported by content and strong pedagogy that is ideal for new students of this rapidly changing field make this book setting the standard for nearly 30 years. The colorful layout with examples and ample photographs will helps you better understand every important topics. This book also offer an excellent reference work for anyone involved with electronic devices and other circuitry applications in the text, such as technical engineers and electrical. In 11th edition, Electronic Devices and Circuit Theory book offer the reader everything new in this edition as follow. When you read the original book of this Electronic Devices and Circuit Theory by Boylestad 11th Edition book may be you will see the table content like below. In the last article we let you to enjoy to get this e-book of Electronic Devices and Circuit Theory by Boylestad 11th Edition with Solution and Instructor Manual with download it freely with the link we given you below. 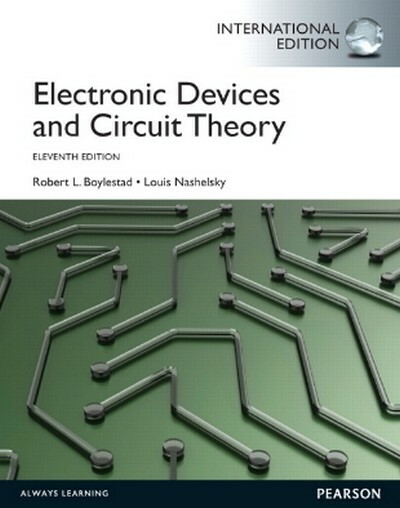 Here, we provide you some the links to download e-book of Electronic Devices and Circuit Theory by Boylestad 11th Edition with Solution and Instructor Manual from external server. So, if you fail to use one link or the link broken you can choose other link to download it. Please click the icon below to start downloading.